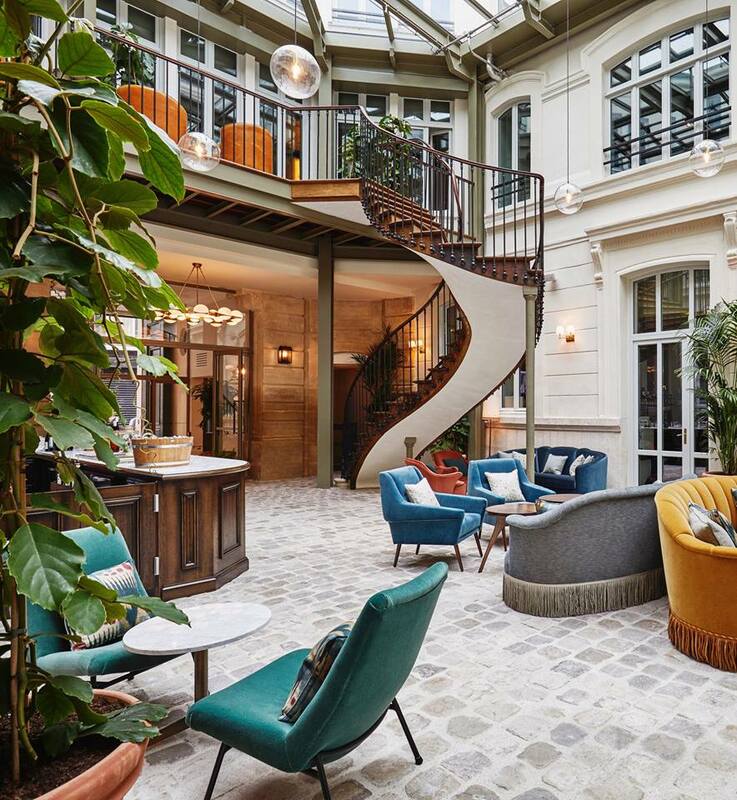 The recently opened The Hoxton Paris (August 2017) is set in an 18th century building, built by architect Nicolas d’Orbay. The 172 room hotel counts with two gorgeous courtyards, Rivié restaurant, Jacques' Bar.. 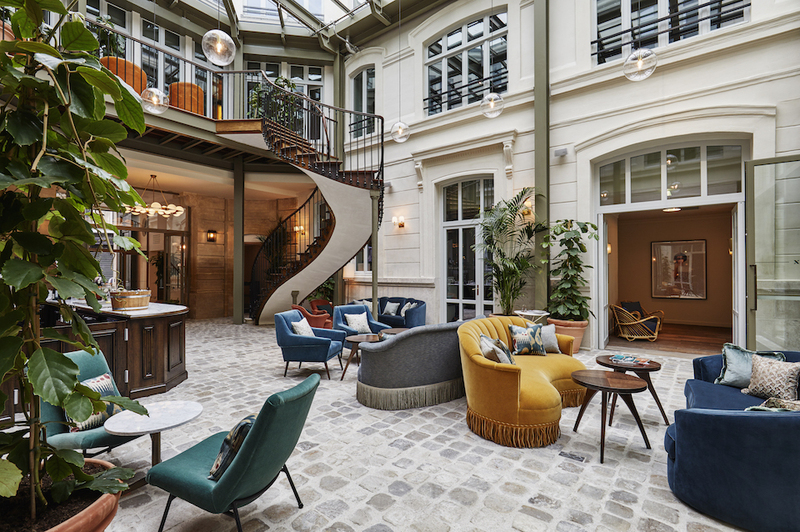 The Hoxton is the latest hip boutique hotel in the city of light, where you can spot the coolest Parisian and international creative crowd. Collaborating with design studio Humbert & Poyet; Soho House; and Ennismore Creative Studio, the result is a relaxed - cool - eclectic design, where they used some of France's most iconic furniture and lighting designers. The rooms feature custom made chevron timber floors, bold feature walls and contemporary tiled bathrooms. 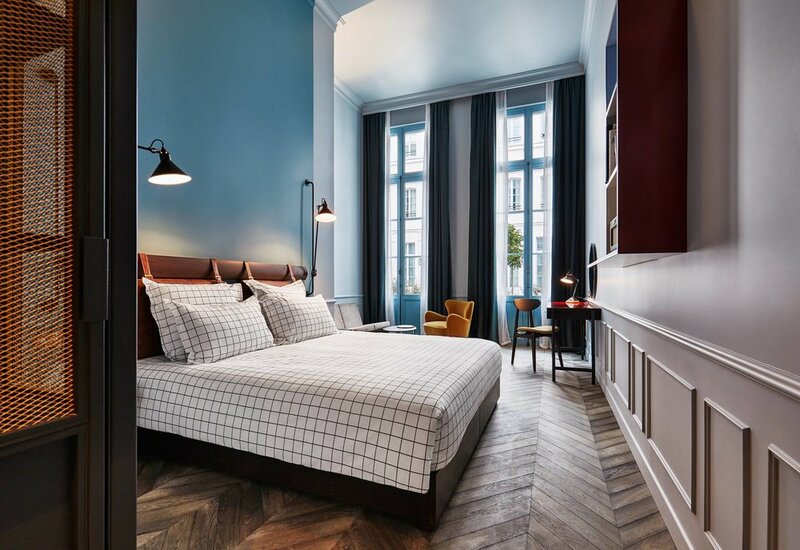 The Hoxton Paris, 30-32 Rue du Sentier, 75002 Paris – Book your room here.